The study explored factors to which people traumatized by war attribute their recovery from posttraumatic symptoms and from war experiences. 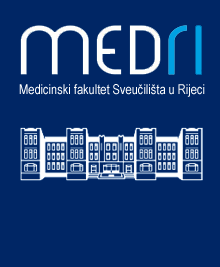 Methods : In-depth interviews were conducted with two groups of participants with mental sequelae of the war in the former Yugoslavia: 26 people who had recovered from posttraumatic stress disorder (PTSD) and 17 people with ongoing symptoms of PTSD. Participants could attribute their recovery to any event, person or process in their life. The material was subjected to thematic analysis. Results Eight themes covered all factors to which participants attributed their recovery. Six themes described healing factors relevant for both groups of participants: social attachment and support, various strategies of coping with symptoms, personality hardiness, mental health treatment, received material support, and normalization of everyday life. In addition to the common factors, recovered participants reported community involvement as healing, and recovered refugees identified also feeling safe after resolving their civil status as helpful. Unique to the recovered group was that they maintained reciprocal relations in social attachment and support, employed future-oriented coping and emphasised their resilient personality style. Conclusions The reported factors of recovery are largely consistent with models of mental health protection, models of resilience and recommended interventions in the aftermath of massive trauma. Yet, they add the importance of a strong orientation towards the future, a reciprocity in receiving and giving social support and involvement in meaningful activities that ensure social recognition as a productive and valued individual. The findings can inform psychosocial interventions to facilitate recovery from posttraumatic symptoms of people affected by war and upheaval.